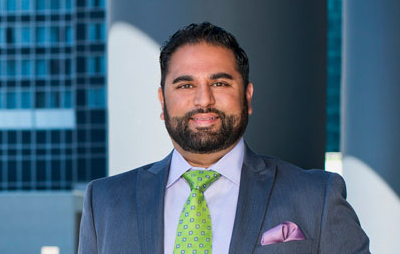 With nearly two decades under his belt, Sandesh Bilgi has served the real estate industry in numerous capacities. He was a top producer was awarded rookie of the year upon entering the business. He went on and served as a Director of Training and Recruitment and ultimately developed as a Managing Broker for several years. His experience helped him become a Chief Operating Officer of a large unaffiliated company before moving on to serve as the President of an affiliated company that grew tremendously through merger and acquisition. Throughout the trajectory of his career, Bilgi has notably become a formidable force in the Chicagoland area, influencing more than 5,000 aspiring Realtors in pursuit of earning their real estate brokers license, growing their businesses or starting their own companies. He is an Illinois Real Estate Pre-License and Continuing Education Instructor and also holds a Managing Broker license. Most recently, Bilgi was appointed as the Senior Trainer with Realogy Holdings Corporation, representing Better Homes and Gardens Real Estate LLC. In this role, he will be responsible for training and coaching affiliated brokers and agents across the country. With a strong background in motivational speaking and as a sport psychology consultant, Bilgi worked with athletes, helping them prepare mentally to achieve optimal performance. He will be doing the same for real estate brokers helping them achieve maximum sales production. “Training has always been a passion for me, and now I have the opportunity to do what I love on a national platform: delivering world-class training,” he says. Prior to taking on this new position, Bilgi served as a Franchise Sales Director, playing an instrumental role in the growth of the Better Homes and Gardens Real Estate brand. During his tenure, Bilgi focused on growth strategies, conversion opportunities and mergers & acquisitions. Better Homes and Gardens Real Estate is celebrating its 10th anniversary this year and Bilgi will be a key part of this year long tribute. Bilgi enjoys staying connected to sport in his free time as a Level 5 USA Hockey-certified coach, and coaches travel baseball for his kids.